We’ve talked about starting your business just for the fun of it. Now we are going to address the issue furthermore. We are going to talk about writing a business plan. Writing your business plan or proposal could actually be the first step towards making you a very powerful businessman or woman. 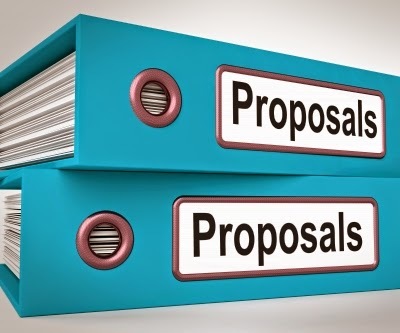 A good business proposal will enable to you plan ahead and visualize your whole business even before you start. If you are good and have have a very keen foresight, you might be also to seize the opportunity of writing a good business plan when the spot the loopholes that might restrain you. Although I don’t advise so much on you concentrating on why a business will not work because if you continue doing that, at the end of the day, you might never get started. And I really want you, us, to get started. Your greatest problem might be that you don’t even know the business to start. If that’s your case, you can copy me. This is what I occasionally do. I learnt it from one article I read about a man who gave a public lecture on what he would do if he had a million dollars. Since, then I have been making my own plans. You can start with writing an essay on what you will do if you had a million dollars. Don’t be put off because I can assure you, there will always be that little voice inside telling you and trying you convince you that this fun project of yours is nothing but a bogus farce. Have the fun of being a manager of a million dollars or more. Have the fun in seeing yourself as a very big CEO. Have the fun of knowing that so many people are going to benefit from your business ideas and also reward you in the process. Have the fun of knowing that you might pull it off. Have the fun in the knowledge that even the biggest companies out there did not know that they will eventually make it big. For example, did you know that the Google boys Larry Page and Sergey Brin once approached Yahoo! to sell their technology for just one million dollars in 1997 and Yahoo! turned them down? Only for Yahoo! to try to buy them for three BILLION dollars in 2002? And guess what? Google turned them down! And today I believe Google is even worth more than Yahoo! So you see? You can start your own business empire today. But first, get ready to write your own business plan. Oh by the way, about that man that gave a lecture on what he'll do if he had a million dollars, do you know that someone from his audience gave him the one million dollars that same day! It might be your turn and someone is already waiting to give you the raw cash.